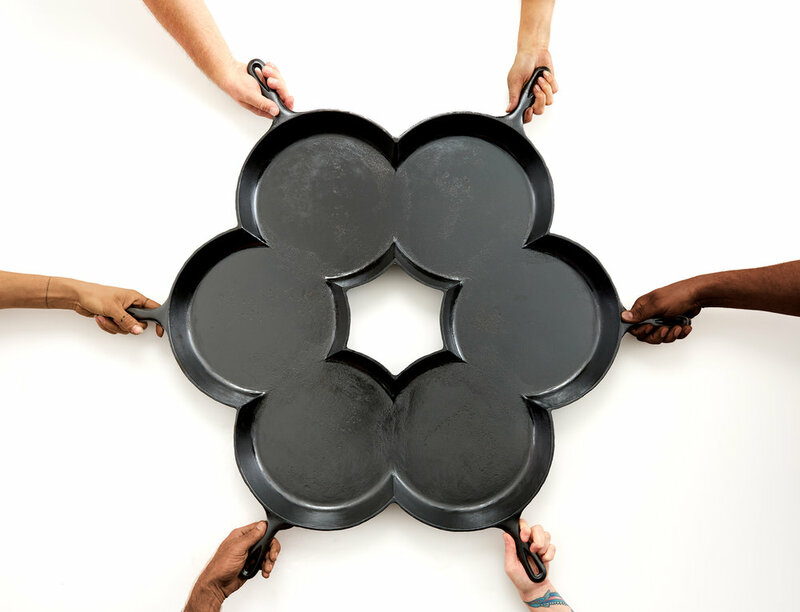 One From Many is a functioning cast iron pan designed to bring people together through food. 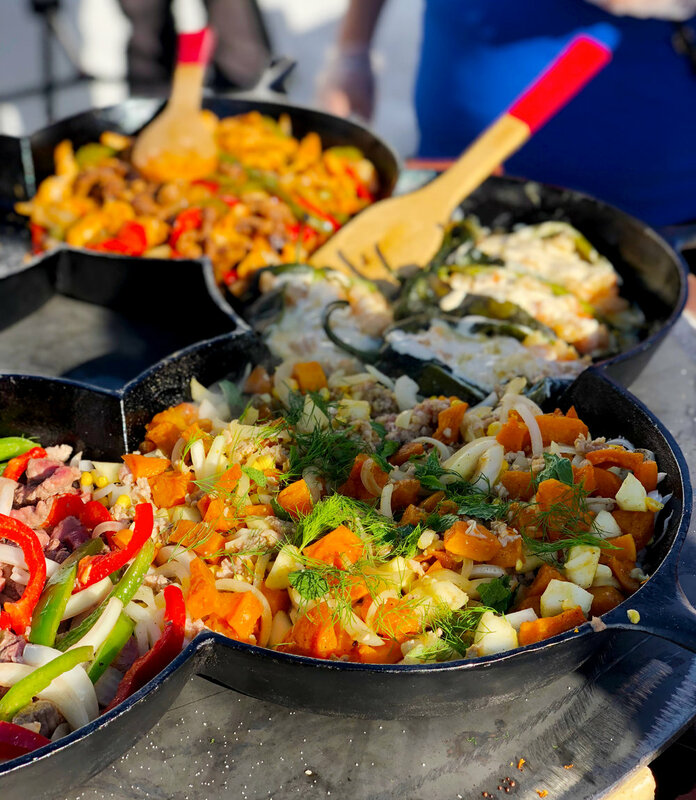 This large pan allows 6 people to cook simultaneously, and there are no separations between the sections, so eventually the food in one section will start to blend with the food on either side of it. This project is intended to highlight the paradoxical struggle of preserving individual identity while striving for unity. 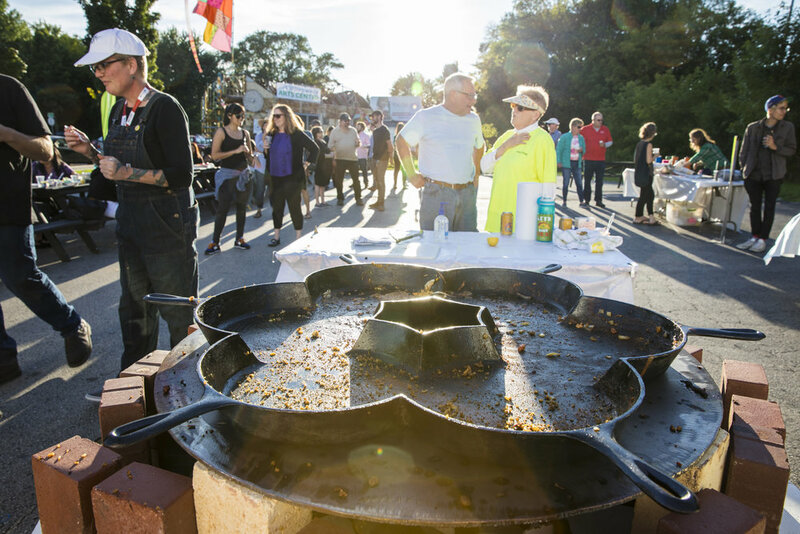 The title is a loose translation of "e pluribus unum," and the food cooked in this pan is a celebration of cooperation and collective spirit. 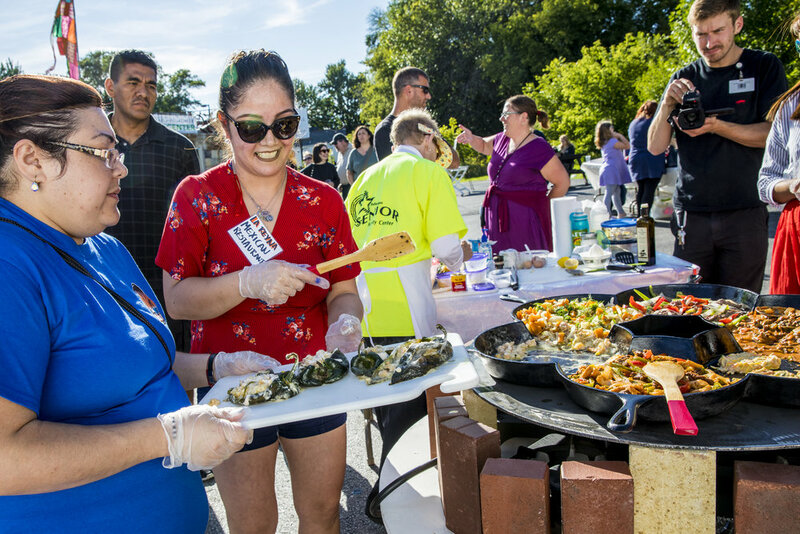 The pan was used for a community event in Sheboygan, WI, where six people from different cultures cooked at the same time, then the public was invited to take a taste from the section (or border) of their choosing. 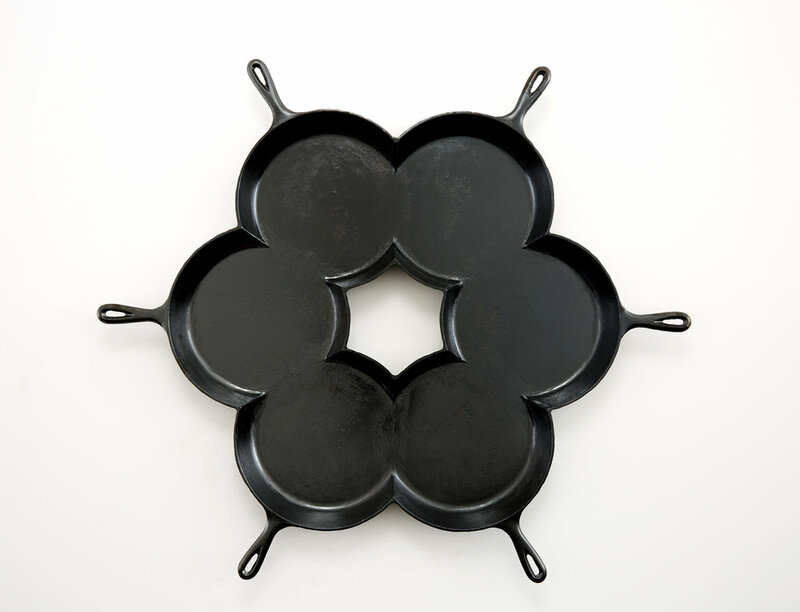 The people that stepped up to cook in this pan had never worked with each other or cooked under such strange circumstances. They had to figure out how to make their own family recipes and cultural dishes while sharing a cooking space without borders. One From Many was created at the Kohler Co. factory during Arts/Industry, a residency program of the John Michael Kohler Arts Center. The making of One From Many was an intense 6-week journey that proved to be one of my biggest professional challenges to date. You can see the whole saga on Instagram (#6skilletpan).